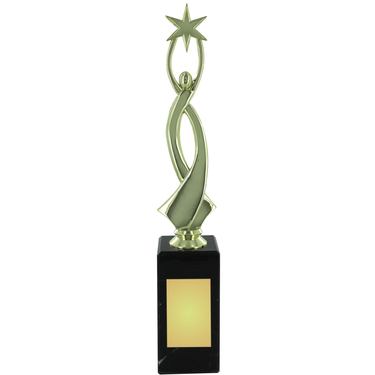 This Elegant design trophy features an abstract figurine holding a star. This trophy is mounted on a black marble base that increases in size to increase the height of the trophy. You may choose to add a personalised engraving plate to the base of the trophy.